Modern technology can be a spectacular help when it comes to modern finance potential. With the new ways that digital money is secured, new software and hardware combinations, and the mobile revolution all coming together, it’s easier than ever to buy and sell stuff and services efficiently. Five things to think about it you want to improve your personal satisfaction with this burgeoning system of convenience include the ideas of accepting donations, using budgeting apps, using things like ApplePay, having mobile credit card readers, and harnessing the power of PayPal. 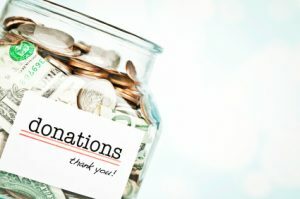 One of the activities that was rather difficult to do in the past was to accept donations of various kinds and be able to keep track of all of them. Getting cash, checks, or other forms of donations manually could be a real bear in terms of administration. That’s why it’s so awesome that new tech has made everything instant and trackable through many different apps and direct transfers of cash. Depending on what your looking to donate to, or what organization you are getting donations for, you’ll pick the right format for the job in terms of basic infrastructure. Modern budgeting apps making watching your financial habits a breeze. It usually takes about 15 minutes to set up a free service that connects through the back end of your banks, credit cards, and loan institutions, and from there on out, all of your transactions and notifications are centralized. And when you have all of this information in the same place, it makes every aspect of your financial life exponentially easier! For iPhone or Mac users, using ApplePay makes a lot of transactions a ton easier. You do a quick setup, and then you can just scan your phone and make payments with the ease of a simply gesture. It hasn’t totally caught on yet, but as people become more comfortable with the technology, it will eventually become a complete social norm. There are now combination hardware and software packages that allow you to hook up credit card readers to your mobile devices as well. Especially if you’re a more mobile entrepreneur, that means that you can safely and securely sell all of your stuff on the go! This is an amazing benefit, and events the playing field for a lot of competitive small businesses. One of the biggest players in the instant digital money field is PayPal. And there are options for personal use and professional use. Their security is top notch, their services are incredible, and they’re trusted around the world. Plus, it’s an absolutely free service in terms of monetary exchange outside of things that need to be taxed!